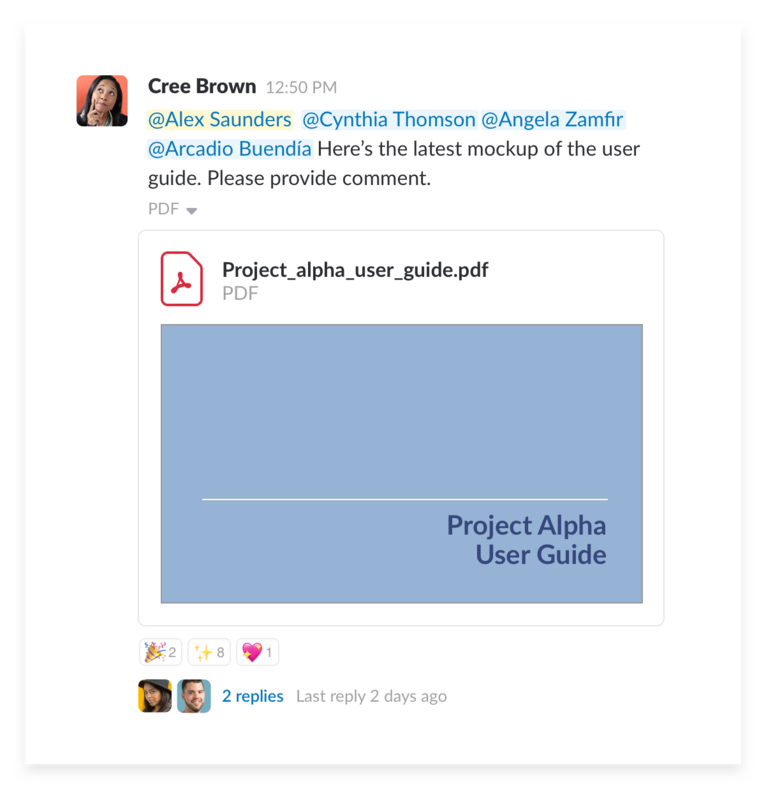 Upload and share a file to jumpstart collaboration or gather feedback on your work in progress. Click the + button next to the new message box. 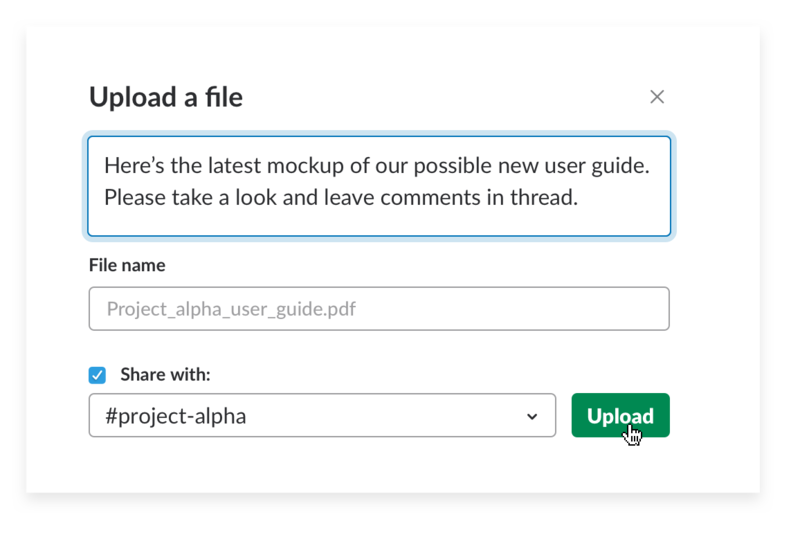 Write a message describing the file and click upload. 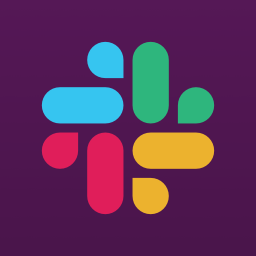 Tap the photo button to choose a shot from your camera roll, or click the Files button to access recently shared items. 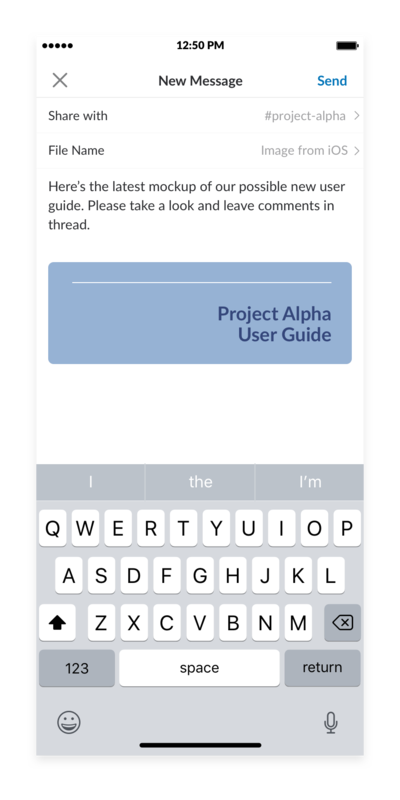 Write a message describing the file and hit send. 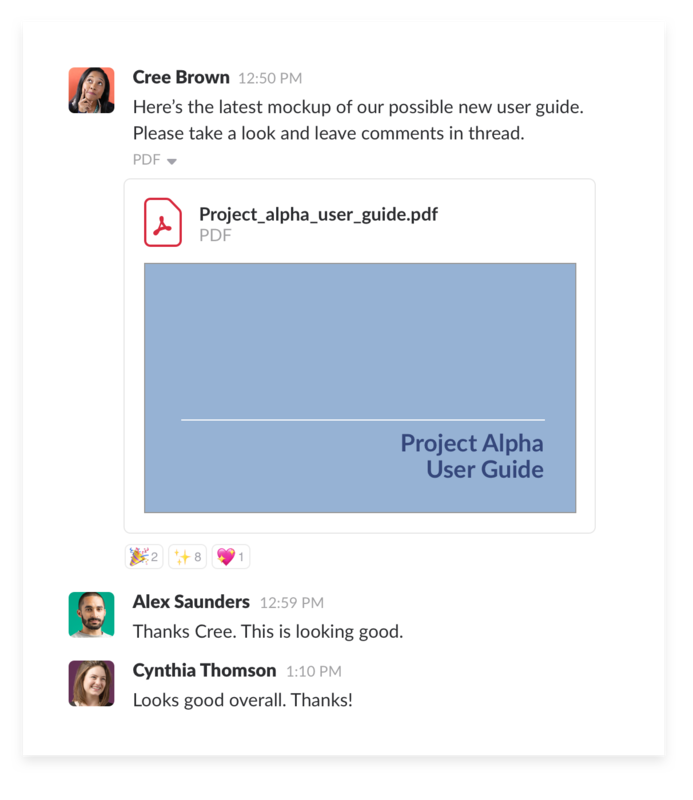 Use threads to keep discussions around files organized, and ask others to give feedback or approvals either in threads or using emoji reactions on the files to streamline your work. 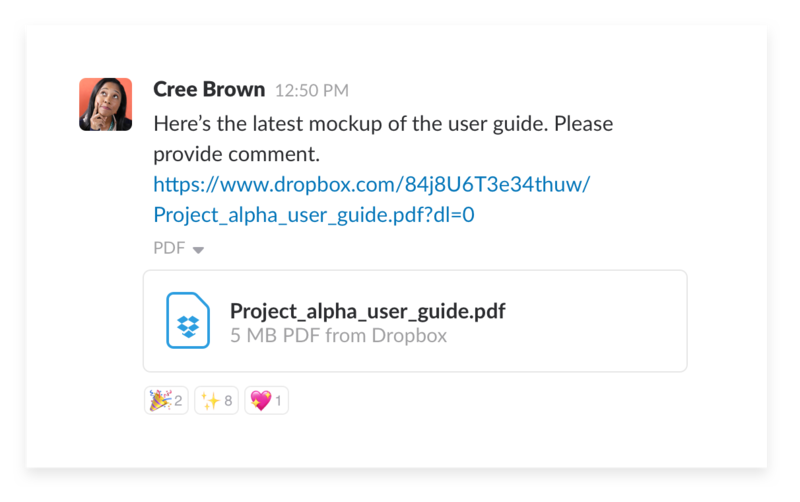 You can also use your existing file management tools like Google Drive, Dropbox, Box, and OneDrive in much the same ways as well. 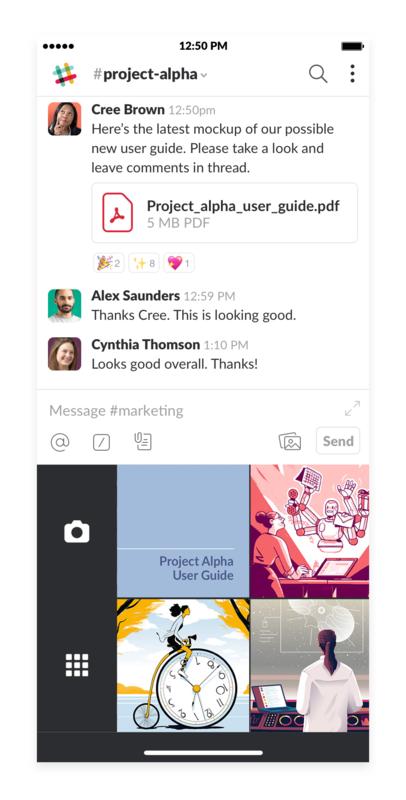 Share files into channels, have discussions in threads and ask for approvals with emoji reactions.